Zhao Ziyang came to national prominence when he was appointed as the Premier of China in 1980. Along with the then General Secretary Hu Yaobang, he was considered young and upcoming in the ranks of communist officials. For almost a decade, he skillfully guided the reform effort advocated by the behind-the-scene supreme leader Deng Xiaoping and earned a well-deserved reputation as a pragmatic leader. His fortune first changed in January 1987, when Hu Yaobang was sacked in disgrace after a wave of student demonstrations. Zhao Ziyang's own role in Hu Yaobang's downfall is still unclear to this day. However, he became the one who succeeded Hu Yaobang as the General Secretary and the apparent heir to Deng Xiaoping. 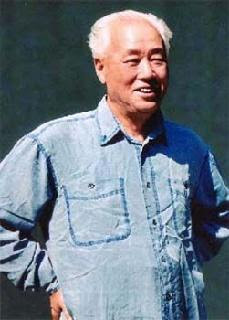 When the student movement broke out in 1989 following Hu Yaobang's death, Zhao Ziyang was not a favorite figure, partly due to his beneficiary status in the Hu Yaobang episode. In fact, there were rampant rumors about corruption within his family, particularly his son, making him one of the targets of the movement. Zhao Ziyang's very first public move during that movement was a puzzling one. Following Hu Yaobang's funeral and just as student movement was gaining momentum, he left the country for a lengthy state visit to North Korea. While abroad, he approved the publication of the infamous April 26 People's Daily editorial, a move that perhaps sealed his fate a few weeks later. After returning to Beijing in early May, Zhao Ziyang pushed for his non-confrontational approach toward resolving the crisis and briefly won the upper hand within the government. Most significantly, he abolished the censorship in official media and allowed the movement being freely reported. He also advocated dialogues with the masses. But for reasons that are still unclear today, he did not promptly initiate direct dialogue with the students until very late. On May 16, 1989, during his meeting with Soviet leader Mikhail Gorbachev, Zhao Ziyang made a surprise revelation that Deng Xiaoping was still the supreme leader in China, turning the movement toward targeting Deng Xiaoping. It was yet another mysterious move of his that has not yet been properly explained. It did not work out for him. The government moved on to impose martial law and he resigned in protest. Zhao Ziyang later appeared in Tiananmen Square himself and made a passionate, impromptu speech to students, during which he famously uttered "we are already old, it does not matter to us any more." He was going to be seen in public ever since. After years of house arrest, Zhao Ziyang passed away on January 17, 2005, at the age of 85. Four years later, his secret memo was discovered and published posthumously. Yet the best-selling book fell short in telling his story. Zhao Ziyang is remembered mainly for his refusal to endorse the martial law and the eventual massacre. He is also frequently criticized for being weak, especially in comparison to the Russian leader Boris Yeltsin who later courageously joined the masses in a somewhat similar crisis situation.